Last year we were fortunate to have the opportunity to have a large number of our staff attend a two day Social Role Valorisation (SRV) workshop with John Armstrong. This was an enlightening experience for me and many of our staff, as it highlighted, amongst other things, the harm that can be done very easily to a person (how they are perceived and their value within society), often by well-meaning people. This has come to the forefront of my mind again recently as I came across some services and programs that I am sure were developed with good intent but in reality will perpetuate and reinforce negative concepts of people living with disability. As a result, over the coming months you will begin to see in this newsletter, in addition to some of the regular articles, some information and thought provoking pieces that will be designed to help create discussion. I look forward to getting your thoughts and feedback as we progress this idea. Inclusion WA is thrilled to be a finalist in the 2014 Sport and Recreation Industry Awards. The Karratha Inclusive Sport Program was chosen from more than 80 applications as a finalist for the Regional Excellence Award which aims to recognise an achievement/participation initiative implemented by an organisation in a regional location that has increased participation, capability or opportunity. Over 250 Give Netball a Go! 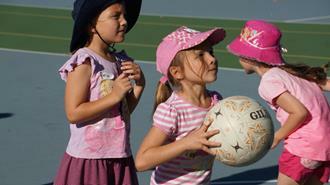 The hugely successful Netball for All program has now finished for the winter. Held over six weeks, the Program encouraged people, from a range of age and ability levels, to learn the skills and basics of netball, before transitioning into a local netball club. The National Standards for Disability Services have now been updated to reflect contemporary practices that place people with disability at the centre of decision making and choice about their supports and services. These new standards are seen as a transitional reform enabling nationally consistent quality standards to apply for the disability services sector. 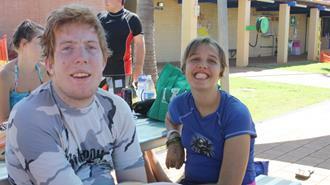 The Inclusive School Holiday Program kicked off in Northam, Karratha and Esperance this week. If you live in or around any of these areas have a look at the scheduled events and register your interest to particpate or volunteer. 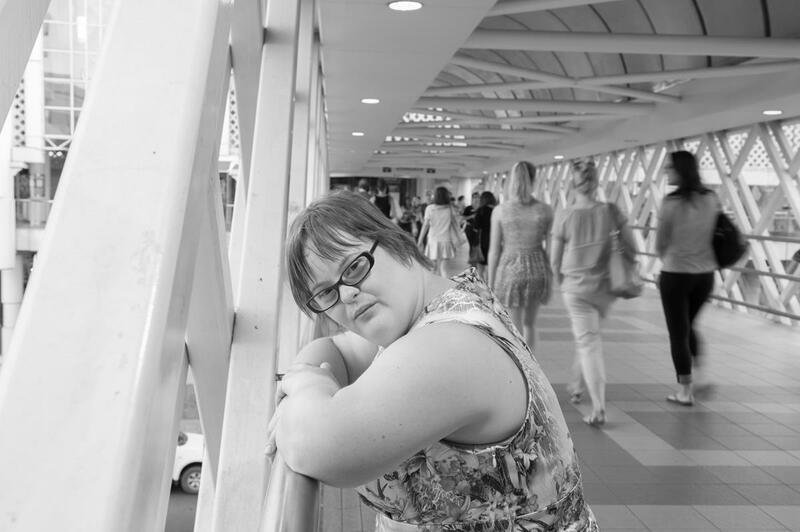 When we first met Kaitlin she was extremely quiet and shy and would only speak to her Community Inclusion Facilitator. One of Kaitlin’s goals was to be able to see her friend Jade independently from her mum and to gain skills to confidently interact with her friend. When we started all going out together, they were both very quiet and only spoke to their Community Inclusion Facilitator, not to each other, even though they knew one another from their weekly bowling sessions. After working with Kaitlin on communication skills, she now talks all the way on the journey from her house to pick Jade to go to their gym session. They ask each other about their weekends or where they would like to go for lunch after the gym, just chatting away. 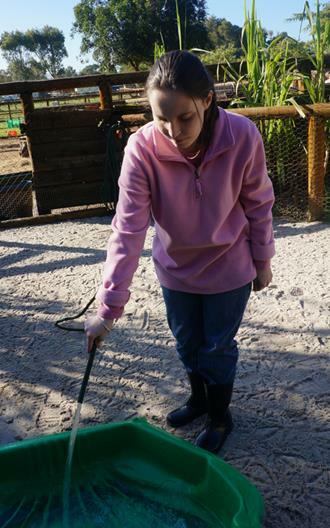 Kaitlin’s confidence grew, and now she is also now volunteering at a farm and doing a great job, getting stuck into every task she is given. Kaitlin and Jade now attend an exercise class every week at their local recreation centre and the instructor recently commented on how far they had come with their fitness and joining in. Both girls struggled with everyday social interactions at first, like buying their own lunch or paying for their gym session, but both Kaitlin and Jade do this confidently now. They also help each other, if need be. It's really great to see both girls growing in confidence and becoming more independent.